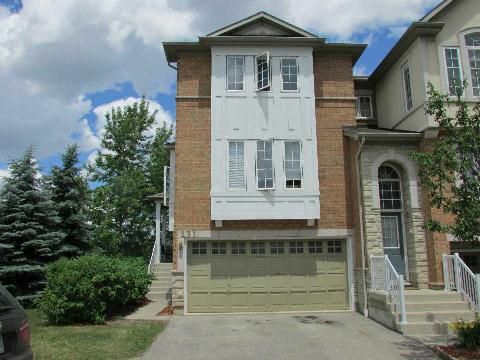 Bright & Spacious, Rare 2 Car Garage E.N.D U.N.I.T Townhome In Trendy High Park Village! 1940 Square Feet! Sun-Filled Kitchen With Breakfast Island, Lounge Area & Walk-Out To Balcony. Lots Of Kitchen Cupboards And Counter Space! Walk-Out Finished Basement With Three Piece Bath And Kitchenette (Potential Nanny Suite). Living & Dining Converted Into Two Bedrooms.